Some Russian rich guys exercise in luxury, some in ingenuity of their luxury. 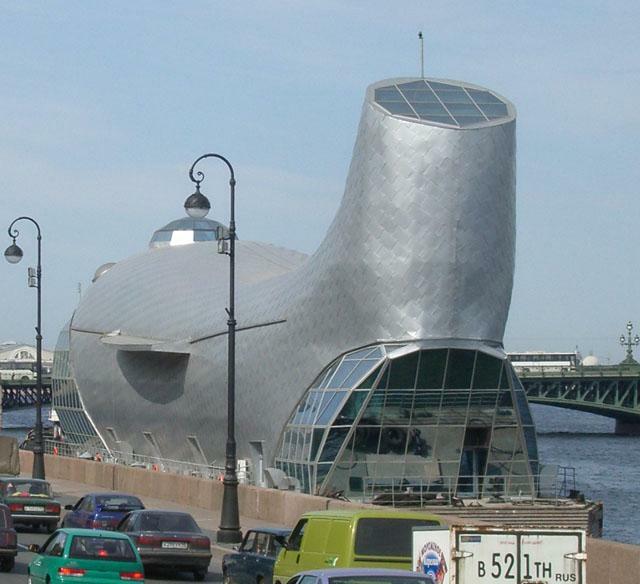 Like this shark-boat in St. Petersburg. It stayed for a few days parked near one of the city river banks then floated away driven by some another New Russian Rich Man. Money just can’t buy you taste. That certainly is strange. I would like to see the interior. I surely hope the interior is decorated with more taste than the exterior!!!! The designer of that eyesore should be shot. 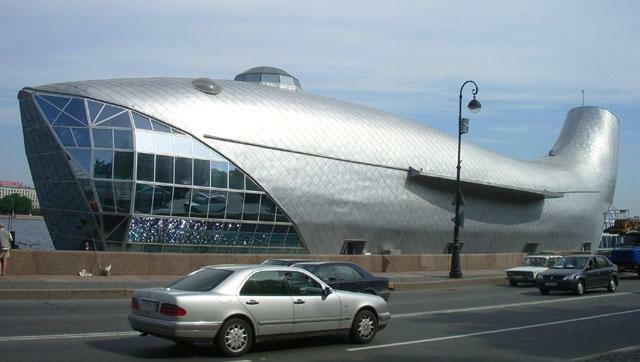 I think this is not boat – it is staying to “deep” in city, near Troitsky bridge. Restaurant-on-water, or gymnasium, or cafe usually stay there. Platforms, looks like ships. i’m sorry to say, ugly…. 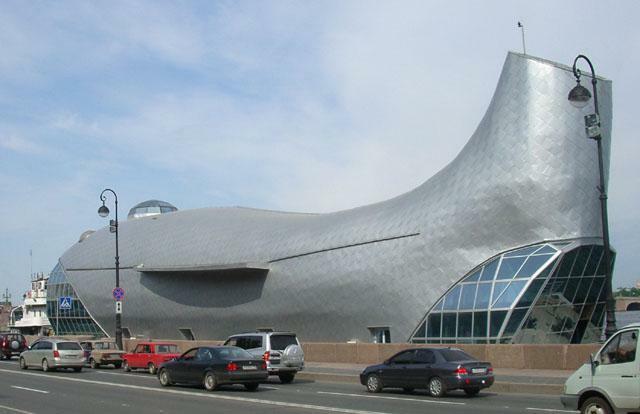 As far as design, its obviously a representation of a whale, the open mouth, fins, eyes, blow hole. And for this guy above, why cant it be a restaurant and a boat? because it looks like it floats, so it has to be a boat. But, yeah, Americans are dumb and ignorant, just like you. It’s a restaurant, I’ve seen it up close and it’s even uglier in person. First rule of restaurant dining: Never eat in a restaurant that floats or spins. rich gays have different tastes from ruch guys, yes. on photos – property of firsts. thumbs up for the previous post. It sure was mega revealing.